nerdy views: Wanna Die On Game of Thrones? Have you ever watched Game of Thrones and thought to yourself, yeah I wanna be beheaded, or poisoned, or have my head crushed by a giant, or get stabbed in the heart at a wedding? Well if you play your cards right, you can have that AND a chance to meet George R.R. Martin. Martin is asking for donations to help out the Wild Spirit Wolf Sanctuary and the Food Depot of Santa Fe. The money will go to helping improve the habitat for the wolves and your donations will garner you anything from a thank you e-card or t-shirt to an appearance in one of his future novels complete with grisly death. All donations enter you into a contest where the grand prize is dinner with Martin, a helicopter ride to the Sanctuary, and all the while you can keep asking/pestering him as to why he keeps killing off your favorite characters and why he still writes on a computer that uses DOS. 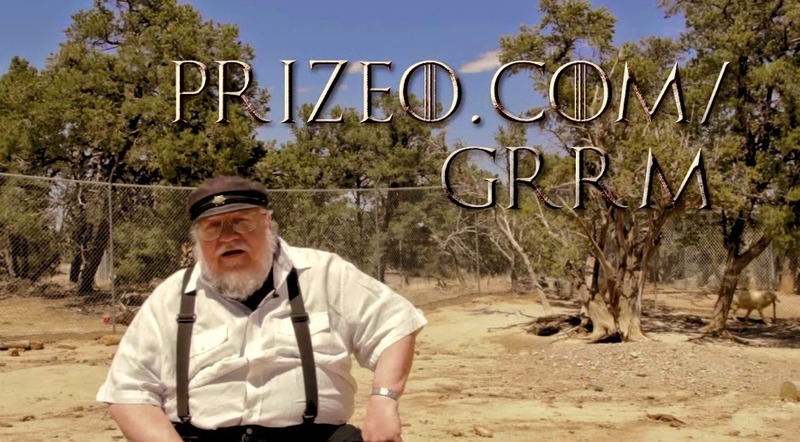 Anyway, you can hear it straight from the author's mouth below, and you can visit the donation page at prizeo.com/grrm for more details.